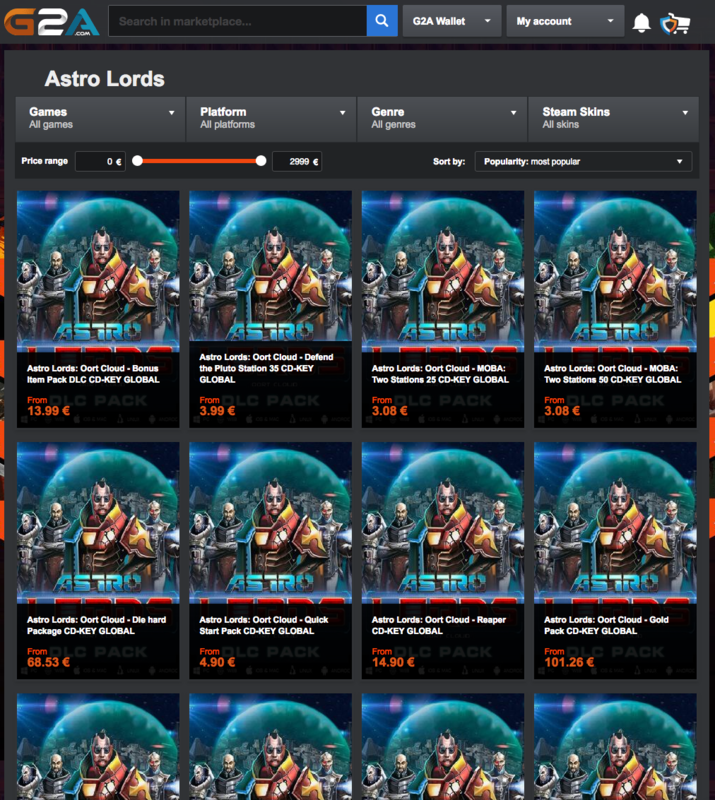 Astro Lords - Astro Lords DLC Packages On G2A.com! G2A - The fastest growing digital gaming marketplace where 10 million buyers come to browse over 37 thousand products from 250 thousand sellers with over 150 payment methods, all in one place! Promocodes are valid globally for all platforms and portals of Astro Lords game!